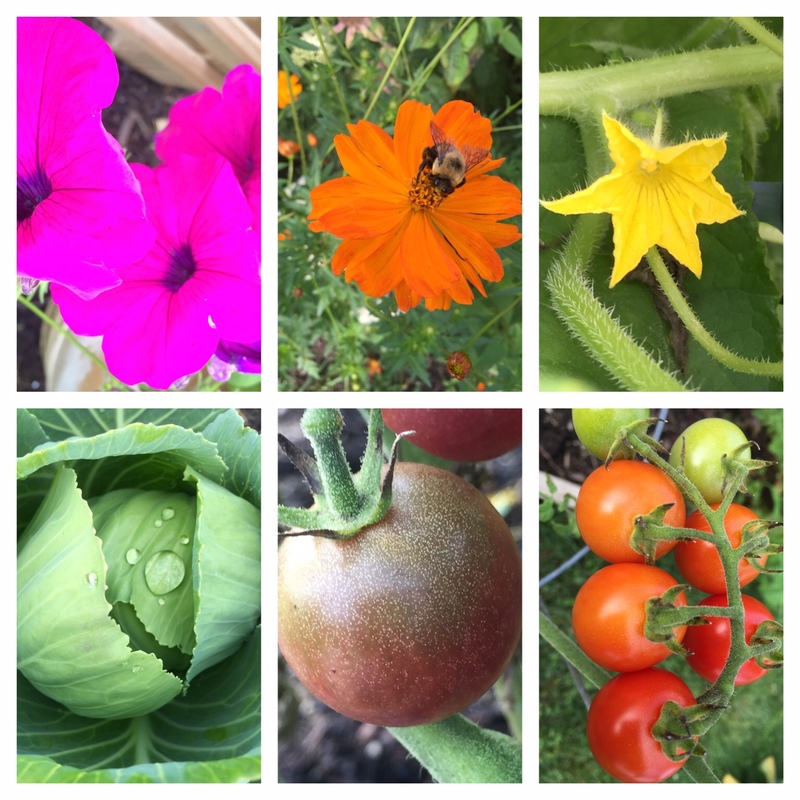 Images of flowers and produce grown in the Wild West Community Garden. McConnell: Where did your inspiration and vision come from? Smedley: A really difficult situation, the sudden death of my brother Gregg. We both shared a passion for gardening. This was a way to turn a very difficult situation into something beautiful and remain connected via The Gregg Witwen Memorial Garden. McConnell: Can you share how this vision became a reality? Pizza garden at the Wild West Community Garden. Smedley: There was available land on the Wildwood Family YMCA property. I saw the perfect opportunity! I proposed the idea. A focus group was identified and there were about thirty people on board with this plan. From there a steering committee was developed all with the help of Nathan Brandt the Horticulture Specialist with the St. Louis MU Extension program. Initial funding was procured through local, community businesses and supportive individuals. McConnell: What was your connection with the YMCA at this time and how did they support this vision? Smedley: At the time I had been working in the membership department and to- date I have been employed at the Wildwood Family YMCA for fifteen years. The mission of the garden is to provide a peaceful, neighborly and safe setting that encourages gardeners to gather, socialize, learn and share the benefits of organic gardening, environmental stewardship and community support through bounty sharing to local food pantries. Growing a healthy community is consistent of that with the YMCA, being youth development, healthy living and social responsibility. McConnell: Can you share some of the important organizations, groups and businesses that have contributed to the garden’s development and growth over the past six years? Smedley: Some of the fabulous people that have helped us include Lucky’s Market, Corporate Y Partners, St. Louis Master Gardeners, AmeriCorps, Boy Scouts, Girl Scouts, Eaton Bussmann, Kohl’s Ellisville and of course Gateway Greening and the Wildwood Family YMCA! McConnell: The groundbreaking for the garden was in 2011 and now it’s 2016! How has the garden grown and flourished? 1.We’ve expanded and now have 55 raised garden beds and are land locked. 2.We have a Lucky’s Market Learning Garden with 8 raised beds in which children’s educational programming occurs, including YMCA day camp activities. 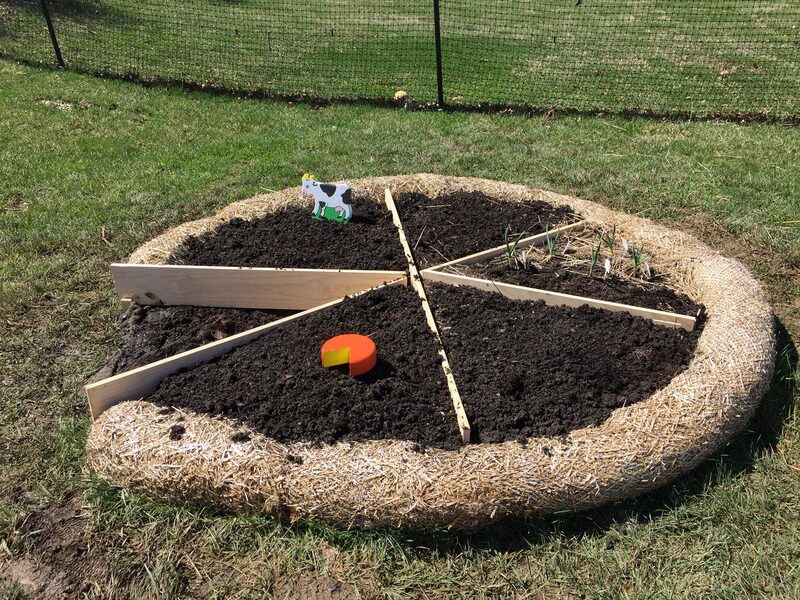 There is a worm bin, pizza garden and a pollinator garden. 3.The P.A.R. program (Plant -A-Row For The Hungry) has been developed. 4.We have developed designated berms for our native pollinators. We won the Gateway Greening 2016 award for Best Biodiversity in a Garden. 5.In 2016 funding was secured for a youth educator. 6.We are an official Monarch Waystation. 7.Homeschool programming has been developed. 8.Taste of The Garden events in conjunction with The University of Missouri Extension Program. 9.Strong communication development through our garden newsletter, section leaders, steering committee, adult education programs, garden committees and e-mail garden tips. 10.The most generous individuals who give their time sharing their talents and knowledge way beyond our garden guidelines. McConnell: Our beautiful oasis also lends itself to offer individuals peaceful rests, reflection and relaxation watching the sunset on a cozy bench or watching the abundance of butterflies on the wide array of flowers. It is definitely an experience for all of our human senses to enjoy. Jodi is currently the Corporate and Community Collaborator for the Wildwood Family YMCA and a Master Gardener. The Wild West Community Garden –Growing a Healthy Community One Garden at a time! We are located on the property of the Wildwood Family YMCA in Wildwood Missouri- c’mon out!